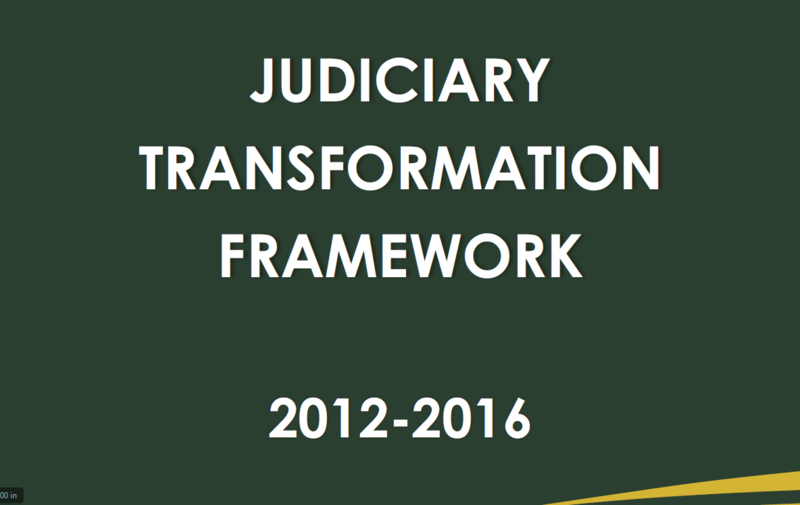 The Judiciary Transformation Framework (JTF) was the Judiciary’s four-year reform blueprint that pulled the institution out of decades of near paralysis to a modern service oriented institution operating on world class standards. The Judiciary is expected to bring the new Constitution to life by changing it from a policy into a living, breathing document which promotes values and principles and advances the rule of law and human rights, develops the law and contributes to good governance. 1). People – Focused Delivery of Justice – Aimed at delivering justice services that are more focused on the needs of the people. 2). Trans-formative Leadership, Organizational culture, Professional and Motivated Staff – Aimed at acquiring and delivering judicial leadership that will transform managerial and judicial outcomes. 3). Harnessing Technology as an enabler for justice – Aimed at harnessing the use of technology as an enabler for improving the effectiveness of the judicial system.